I think skin care is of utmost importance and one should definitely take good care of the skin. I love lotions and they are a part of my daily regime. Since the winters are here I have got myself indulged in a collection of body lotions. I have a big range and you can see many reviews coming up here. 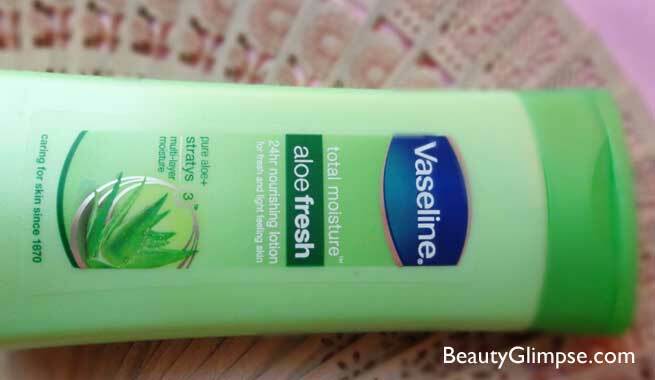 Today I will be reviewing the Vaseline Total Moisture Aloe Fresh Body Lotion. Skin naturally regulates its moisture equilibrium – but constant exposure to the elements dehydrates skin, leaving skin dry and its senses dull. Aloe Fresh Hydrating Body Lotion replenishes skin with a sheer burst of hydration. Fast-absorbing and non-sticky moisture leaves skin feeling cool and healthy. 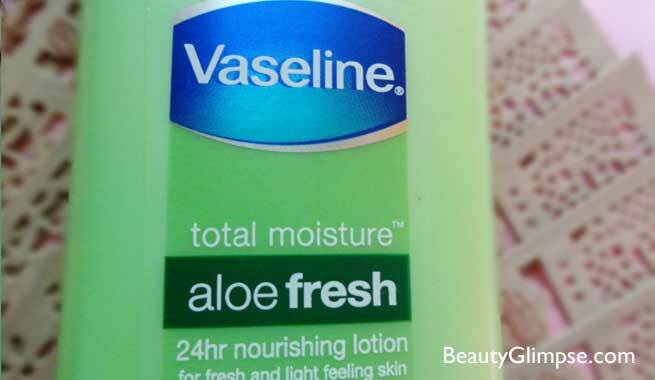 Vaseline has a huge range of body lotions. They are of different varieties and types. I have used almost all of them but every lotion satisfies a different mood for me. So when I am sun troubled and have an itchy skin I look forward to loathing myself in this lotion. This product comes in a usual Vaseline rectangular bottle. The bottle is made of good quality plastic and it has a flip open cap. The cap closes with a click and I have carried the bottle around in my purse and I did not face any leakage of any sort. The color of the bottle is fresh green and it gives a nice look and feel. It also makes it easy to spot it in the lot. 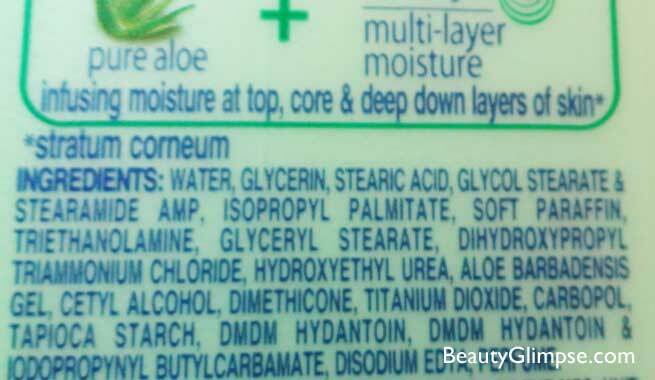 The product is white in color and has an aloe Vera smell. The smell is pleasant and fresh and it’s not at all overpowering. The lotion gets absorbed instantly into the skin. It’s like you are quenching the skin’s thirst for moisture. It’s very light and non-greasy. 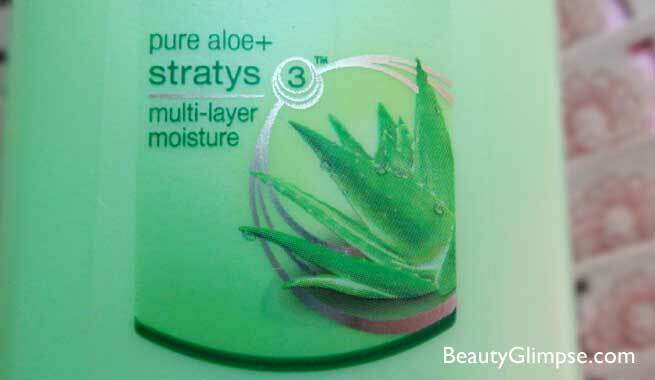 I have worn it in extreme summers and it did not make my skin oily or sweaty at all. The moment you apply it, it gives an extreme cooling sensation which I completely love about this lotion. So whenever I have to get out into the sun I dip myself in this lotion. It quiet affordable and comes in different sizes so you can indulge in whatever quantity you want to. The moisturizing effect lasts for about 8 hours atleast. I apply it after my bath and while going to sleep. Fresh and cooling sensation on application.